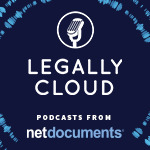 NetDocuments, the leading secure cloud-based content services platform for law firms, corporate legal teams and compliance departments, recently announced the launch of Legally Cloud: a podcast series with a difference, delivering valuable industry insights in an informal, light hearted way. iManage, the company dedicated to transforming how professionals work, today announced that Stronachs LLP – one of Scotland’s leading independent law firms – has selected iManage Work for its document and email management, all in the iManage Cloud. North London-based commercial law firm, OGR Stock Denton, has successfully gone live on industry leading email and document management solution, iManage Cloud, with Ascertus Limited as the implementation partner. Taking the next major step forward in transforming the practice of law, for good, Clio, the leader in cloud-based legal practice management, announced today the acquisition of Lexicata, the most popular legal client intake and client relationship management (CRM) solution on the market. 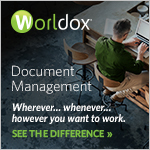 NetDocuments, the leading secure cloud-based content services platform for law firms and corporate legal and compliance departments, , announced today that Lewis Silkin, a UK based top 100 firm has selected NetDocuments’ cloud platform as a foundation for the firm’s transformation to more agile and innovative legal services delivery.